'Captain Marvel' proved to be a massive success and has added on to the Marvel Cinematic Universe's winning streak. Marvel has made it clear that one of their main priorities for the new movies is to make them as inclusive and diverse as possible. However, there was a huge community of trolls that were trying to tear down the movie's success before it even premiered, attacking some of the most popular movie critic websites online. And this isn't the first time something like has happened. From bisexual relationships to online trolling, we're going to look at the bold risk Marvel took with its latest film and the reason why all the backlash started. Kevin Feige, president of Marvel Studios, has shown numerous times that one of their main focuses at the moment is incorporating progressive messages and inclusivity in the Marvel Cinematic Universe. More specifically, in the new 'Infinity' Saga. We’ve already gotten a small taste of this with 'Black Panther’s "Wakanda Forever" that was embraced by viewers worldwide, as well as the message of feminism in the latest 'Captain Marvel' film. The Brie Larson lead movie is planning on opening new doors and touching on a theme that's new to the MCU. Maybe Marvel has decided to make a bold statement and present the new persona as an LGBT character. Larson, too, has already toyed with the concept through her social media and is feeding the flames. 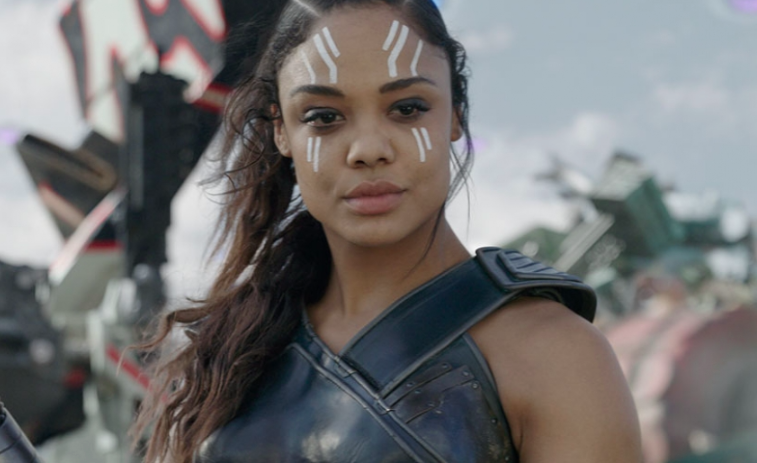 The actress recently shared fan art of her and Tessa Thompson’s Valkyrie, which illustrated the two characters in a romantic lock-up. In the Marvel Cinematic Universe, Valkyrie’s sexual orientation is bisexual, although it hasn’t been shown on the screen yet. So, naturally, this raises one important question in many viewers - why can’t the strongest Avenger out there, who also happens to be leading the new era of Marvel movies, be gay? 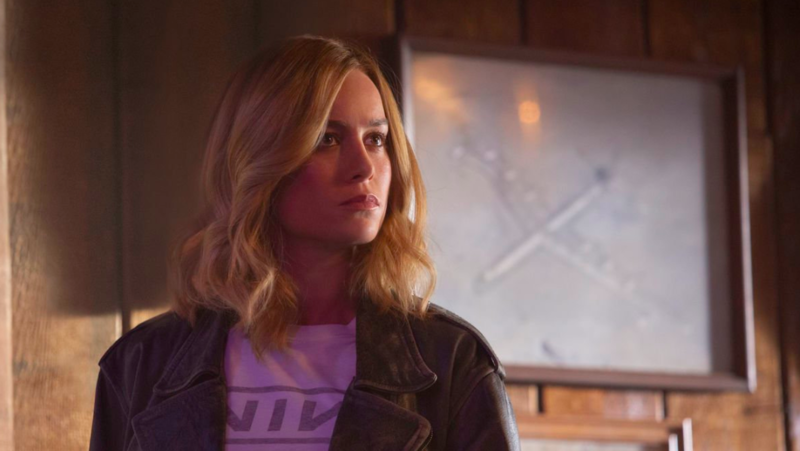 Of course, you can count on the fans to dig deeper into the context of the new 'Captain Marvel' movies and find a hidden meaning. There have already been some theories developed in regards to Carol’s sexuality. First of all, it's pretty obvious from the get-go that Carol doesn’t have a male love interest in the movie. Secondly, her dedication towards bringing down the patriarchy is very clear and undeniable - both on Earth and Hala. And lastly, some of the audience were led to believe that there might just be something a little bit more than adoration between her and Annette Bening’s Mar-Vell, or her best friend Maria Rambeau (Lashana Lynch). Despite all the talk that came from comic book fans and trolls that ensured the movie would fail (and we're going to touch on this a bit later), 'Captain Marvel' is well on its way to becoming not only the most popular, but also the most powerful hero in the Marvel Cinematic Universe. The movie is coming close to the $1 billion box office mark. The success of the movie can be credited to exactly what we touched on today, and that’s the deeper message it sent about feminism. Young girls and women worldwide were inspired and finally able to resonate with Marvel’s lead character because of what she stands for. Not only is she represented as a strong, feminist hero, but she also represents the LGBT community too. Marvel’s doing a remarkable job at trying to relate to fans on a deeper level and giving audiences exactly what they were missing. Marvel did an amazing job at implementing progression within 'Captain Marvel' because the image they’ve chosen for the hero perfectly suits Carol Danvers’ character. There’s a group of teenagers and adults all around the world who feel like they’re under-represented and the outcasts. Lastly, MCU has already made their mark within Hollywood and they have enough fame, popularity, and strong to make a bold move like this. Aside from making Captain Marvel gay (which of course would have a massive impact), they have also made the decision to look at a gay lead for the Eternals. Marvel is trying to show in every possible way that they are truly genuine when it comes to celebrating and representing equality. 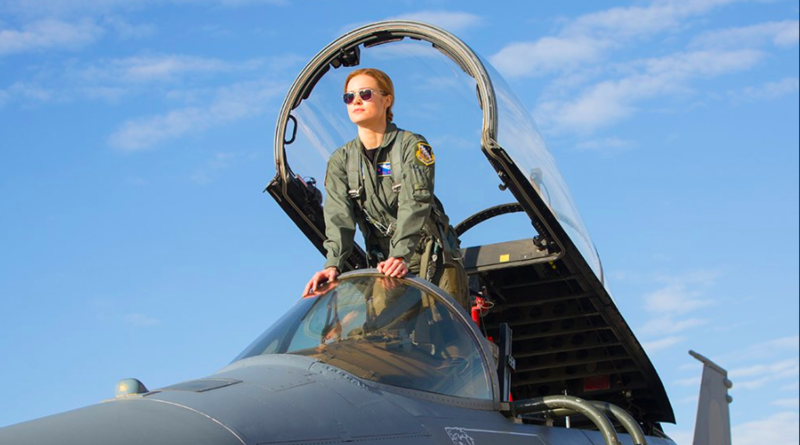 Over the weekend after its release, 'Captain Marvel' opened up with a staggering amount of $44 million in the box office. This marks the sixth-highest debut ever and has proven the online trolls that campaigned against the big-budget film to be irrelevant and wrong. The campaign happened in a couple of weeks before the March 8th premiere. Online trolls used a ‘review-bomb’ tactic on movie websites that we all check - this includes Rotten Tomatoes, Metacritic, and IMDb.com. Their ultimate goal was to drive down the audience score because they were unhappy with Brie Larson’s statement. The actress believes that there should be more diversity amongst entertainment journalists and critics who cover the film. In return, Larson received a lot of backlashes. People were labeling her every name you could think of - from ‘sexist’ to ‘racist’, and making assumptions stating that she didn’t want white men to watch the movie. Rotten tomatoes took action soon after and stopped allowing users to post reviews ahead of a film’s anticipated release. The same thing happened to 'Star Wars: The Last Jedi' in 2017, too. Although there were lots of different reasons behind all the hate they were receiving, it was mostly due to the fact that females took up most of the important roles in the film. In fact, things got so bad that the online trolls successfully drew Daisy Ridley and Kelly Marie Tran from their social media accounts. But, despite all this, the film was a massive commercial success and earned more than $1.3 billion worldwide, making it the top-grossing film of the year. However, there is one movie we should note that was actually successfully derailed by such online trolls and their campaigns. And this film was 2016’s ‘Ghostbusters’ reboot, which was directed by Paul Feig. With a reported budget of $144 million, the movie ended up making only $229.1 million worldwide. It was only a matter of time until the movie was targeted for criticism. There are no signs of increased diversion and progression slowing down anytime soon in the Marvel universe. With ‘Black Widow’ about to being its principal filming this year, and the highly anticipated ‘Wonder Woman 1984’ planned to open in theaters next year, the changes coming about in the industry are clear. And after the long-awaited release of ‘Captain Marvel’, Marvel Studios has once again shown its winning streak and have proven themselves in the face of negativity and criticism. The film ended up breaking records on its opening weekend as the highest-earning debut for a female-led movie. Disney CEO Bob Iger also made a public statement congratulating the movie in its success and taking pride in it too. Clearly, the online trolls and hate mean nothing - no matter how bad the reviews or comments are, they’re not going to take anything away from a truly amazing movie. What did you guys think about the film? Let us know your opinions on the new direction that Marvel is taking in order to be more and inclusive and diverse. And make sure to check out our related about the MCU for more updated info!